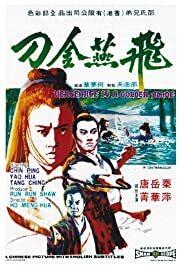 "The Fastest Sword of the South" Ding Menghao is challenged to a duel by an 80 year old monk armed with a long smoking pipe. If Ding wins the monk will be his servant and if the monk wins Ding has to do what the monk says. Here Lo Lieh (future international star of King Boxer) plays a dedicated chief constable for Tsang Chou village, who falls in love with the blind daughter of a bandit who is wreaking havoc. Nieh Cheng (Wang Yu) lives and wants to die by the Junzi code. Yen Chung Tzu (Tien Feng) seeks him out for an act of revenge. Nieh's promise to his mom prevents him from agreeing. When she passes, Nieh seeks to fulfill his destiny. Under-appreciated old school swordplay classic. This film is perfect for fans of martial arts swordplay type movies like Death Duel and One Armed Swordsman. The plot isn't too deep as you might expect, but the film is beautiful, well choreographed in the action area, and nicely acted. I must give credit to the director, the film looks and feels nicely and I was very into it - I can't believe I never heard of this film and just happened to come across it looking for another gem by searching for Vengeance. If you are a fan of martial art's cinema and haven't seen this one - don't feel bad, apparently many people haven't, but go out right now and order it, you won't be disappointed at all. I don't usually write reviews, but when a movie is a hidden gem, I feel the need to help spread the word and bring it to a wider audience. This ones worth checking out, and looking at it from a martial arts cinema stand point I rate it a 9/10.